Patricia Rincon Dance Collective, known for its adventurous programming, celebrates 34 years of innovative programming this year and will continue that tradition with a new installment of “Salon Dances” this fall at the Encinitas Library, 540 Cornish Drive, Encinitas CA 92024. This project is funded in part by the City of Encinitas and the Mizel Family Foundation Community Grant Program. WHO: Patricia Rincon Dance Collective a not-for-profit professional dance theatre company based in Encinitas for many years (see: RinconDance.org). PRDC Salon Dances is returning from a very succesful first season in a new dance series that will feature new works by Artistic Director Patricia Rincon, Associate Director Natalia Valerdi, and with additional guest choreographers. These premere dance theatre works will take place at the Encinitas Library. Each of the three original separate performances will develop a new theme, allowing for audiences to enjoy professional dance theatre in an intimate setting, and also bringing to life the art being displayed in the Community Room. Salon Dances is inspired by Isadora Duncan Salon Dances of the 1900s, a time when patrons would gather in their salons to experience intimate dance-art, live and up-close, and often on a Sunday afternoon. There is a unique intimacy and simplicity that these low-tech, close-up dance performances offer. Each performance will offer a talk-back session afterwards for audience members to share comments or ask questions about the performance with the dancers and choreographer. Salon Dances No. 5, “Mara’s Daughters,” opens the second season in the Salon Dances 2014-2015 Season. Choreographed by PRDC’s Associate Director Natalia Valerdi, “Mara’s Daughters” presents a meditation on the forces that pull away from the spiritual life. In Buddhism, Mara’s Daughters tried to distract Gautama Buddha while he was meditating by tempting him. Sometimes they represent craving, boredom and passion. How do we confront our own versions of Mara? What is the difference between sitting in boredom and sitting in meditation when nobody knows but us? How do we surrender into spiritual life and live in a material world? These questions drive this contemporary dance, oscillating between technical rigor and fluidity. Performed by Sarah Navarrete and Bonnie Lee. Featuring the premiere of the short film “Mara,” Directed by Natalia Valerdi. With assistance from filmmaker Roosvelt “Roshin” Ulloa. Each artist will be exploring their own choreographic voice within the spirit of collaboration. All of these dances will be San Diego premieres. has performed, directed, choreographed and participated in annual workshops and performances in Mexico, Argentina, Europe, and California. As Artistic Director of Patricia Rincon Dance Collective she has continued developing the popular annual Blurred Borders Dance Festival and the Myth Project: American Dream dance-theatre series, set in San Diego each year. The company completed a performance tour to Buenos Aires, Argentina in 2012, and in 2013 is invited to perform in the TANZINOLTEN Dance Festival in Switzerland, as well as other performances in Zurich, Switzerland and Konstanz Germany. Ms. Rincon also continues to develop numerous dance film projects. She has been awarded numerous UCSD research grants for research and development on the documentary series Latino Now: Landscape of Desire, about the American Dream and the immigration debate, filmed in Mexico, Argentina and California, which was screened in Buenos Aries, San Miguel de Allende, Mexico, and San Diego at the San Diego Repertory Theatre production of Tortilla Curtain. Patricia’s video-film Waiting has been selected into various film festivals, including the 15th annual San Diego Latino Film Festival in March 2010. She has just returned from San Miguel de Allende, Mexico where she was doing additional film research for The Myth Project series. Each summer for the past 30 years Ms. Rincon is invited to annual artist-in-residences at the Universities of Heidelberg, Frankfurt, Mannheim, and in Konstanz, Germany. She also taught for many years at the Universities of Zurich, Bern, and Lugano in Switzerland, and in 2011 she was an artist-in-residency, along with her company, at the prestigious IUNA Instituto Universitario Nacional de Arte in Buenos Aries, Argentina. 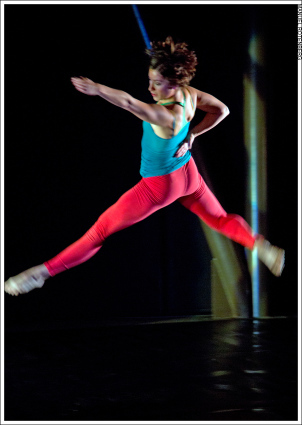 Ms. Rincon is currently Head of Dance at the UCSD Department of Theatre and Dance. This year marks the 34-year anniversary of the Patricia Rincon Dance Collective. is a choreographer, video artist, social media manager, outreach coordinator and performer with the Patricia Rincon Dance Collective. She has performed, taught and choreographed in Cuba, Europe, Mexico and California. Her recent choreographic works include Connected, Traces of Water and White Dreams. She has performed with PRDC since 2006 and recently completed a performance tour in Europe with PRDC in November 2013. Her video projection design collaborations with Patricia Rincon include BODYPARTS, Protest, Peeled and The Myth Project V: Cowboys. She co-produced the documentary dance film Latino Now: Landscape of Desire with Patricia Rincon, a film about the American Dream and the immigration debate, which was screened in Buenos Aries, San Miguel de Allende, Mexico, and in San Diego at the San Diego Repertory Theatre production of Tortilla Curtain. Valerdi has also collaborated as projection designer with UK choreographer Yolande Snaith’s One Hundred Feet, and with choreographer Alicia Rincon. She has performed locally with Jean Isaacs, Allyson Green, Yolande Snaith and Loretta Livingston (Los Angeles). Valerdi is founder and performer with the Mid-Air-Trio, an improvisational “jazz” trio with visual artist Anna Stump and musician Joyce Rooks, which has participated in happenings in Los Angeles and San Diego, including Autumn Lights LA (2010 and 2012). Valerdi received her M.F.A. in Dance and Technology from the University of California, Irvine. She is currently a lecturer at the University of California, San Diego, San Diego City College and Southwestern College, and works with inner-city youth through the professional development organization: Collaborations: Teachers and Artists.